Team members plan to seek DOE funding as part of a public / private partnership. If the team receives an award of the federal funding, it would be focused on the technical preparation of an NRC application. This is the second teaming arrangement by GEH for the PRISM reactor. In November 2016 GEH and Southern Nuclear agreed to work jointly on the development and licensing of the sodium-cooled fast reactor. The press statement by GEH and High Bridge did not specify a time frame for submitting a license application to the NRC. A spokesman for High Bridge told this blog in an email that licensing discussions have not yet started with the NRC. Without having details on the schedule to seek a license, one could assume that even if the partnership has all of the technical data it needs, the effort could still take a year or longer to put it into an electronic format that could be accepted by the agency. If the data is incomplete, that timeline would be difficult to estimate. The NRC’s review cycle would likely be longer than the 42 months usually set for LWR type reactors. Separately, on March 13, 2017, GEH and ARC Nuclear announced they will jointly develop and license an advanced small modular reactor (aSMR) based on their sodium-cooled reactor technologies. GEH and ARC Nuclear plan to enter the Canadian Nuclear Safety Commission’s Vendor Design Review process, the companies said in a joint statement. “This collaborative commercialization program also includes the near-term goals of confirming projected construction and operating costs, as well as the identification of a lead-plant owner/operator for the joint aSMR,” the companies said. GEH and ARC Nuclear have been developing separate advanced reactor designs based on the EBR-II, an integral sodium-cooled fast reactor prototype. The ARC-100 is a 100 MWe aSMR designed for efficient and flexible electricity generation and can operate for up to 20 years without refueling. GEH’s PRISM reactor is a 300 MW+ reactor designed to refuel every 12 to 24 months and has primarily been focused on closing the fuel cycle by, among other things, consuming transuranics. Each Prism reactor has a rated thermal power of 840 MW and an electrical output of 311 MW. Two Prism reactors make up a power block, producing a combined total of 622 MW of electrical output. Using passive safety, digital instrumentation and control, and modular fabrication techniques to expedite plant construction, the design uses metallic fuel, such as an alloy of zirconium, uranium, and plutonium. It can therefore be used to close the nuclear fuel cycle, recycling used nuclear fuel to generate energy. 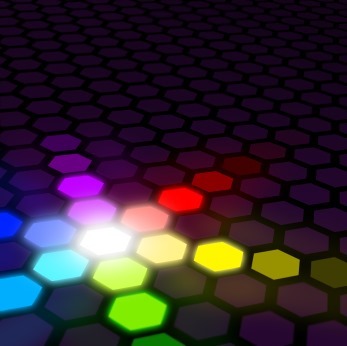 According to GEH, commercialized Prism technology could be used eventually to consume all the nuclear material contained in the world’s used nuclear fuel. Assuming 178,000 tonnes of nuclear material are contained in worldwide stocks of nuclear fuel and a per household consumption of 3400 kWh per year, the company claims this could provide enough energy to power the world’s households for up to 200 years. GEH has proposed the Prism reactor as a possible option for managing the UK’s plutonium stockpile. In 2013 The Engineer, a UK publication, provided its readers with a detailed walkthrough of the PRISM proposal to the Nuclear Decomissioning Authority (NDA). The UK has a lot of plutonium — the largest civil stockpile in the world, totaling some 112 tonnes, most of it from reprocessing spent fuel over the years. The question of what to do with Britain’s plutonium has vexed subsequent governments for decades. GE offered PRISM technology to the UK because it believes it offers a better way of treating the plutonium than converting it into MOX. Britain’s plutonium stockpile is complicated as not every storage canister contains the same isotope of plutonium. Different reactor processes produce different isotopes; and this poses problems for converting the fuel into MOX, because isotopes have to be selected carefully. The article goes on to describe the fuel fabrication process as proposed by GEH. According to an interview with Eric Loewen, Chief Consulting Engineer for the PRISM reactor project, the plutonium oxide would be mixed with uranium oxide, then reduced to a metal by electrolysis. This is made into an alloy with zirconium, then cast into slugs that would be stacked in a stainless steel case to form a fuel pin. Readers are referred to the cited URL above for a longer explanation of the process. In lead bullets you say: This is the second teaming arrangement by GEH for the PRISM reactor. Then you go on to discuss the ARC effort. Wasn’t that the second? The ARC is a much smaller, less powerful reactor design. See blog text for details and link to cited source. Remains to be seen whether a fast sodium-cooled reactor is significantly safer than what we have now. Sodium/water reactions are inevitable in the steam generator – tube leaks will occur. The fuel can melt and fast reactors are notoriously difficult to control. Risk versus reward appears completely out of whack, particularly because the plant does not produce that much power. Why would any prudent utility want to take this on?? 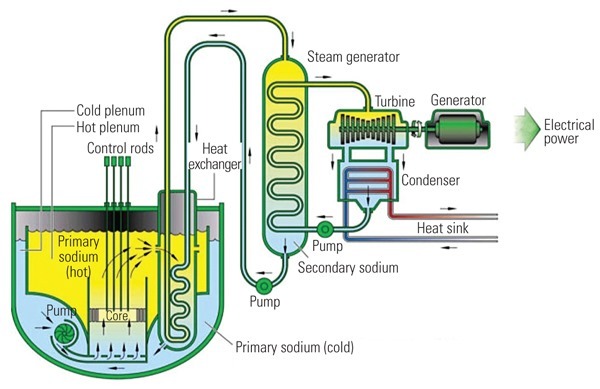 As for Plutonium, gas thermal reactor (thorium fuel cycle) might be better approach. The TRISO fuel makes the Plutonium essentially useless for weapons because the stuff is too hard to reprocess. I believe only the Russians have been able to make technology consistently work. Everybody else (Japan, US, Germany, Britain, France) has spent billions and failed. Hard to say whether or not it could be licensed in Western countries. Economically viable? Uncertain. TRISO fuel was developed for gas reactors, although I believe other aplications are under study. As I recall, carbon/graphite (key element in TRISO) does poorly in sodium, water & salts. BTW: The PRISM reactor does not use TRISO fuel. According to an interview in The Engineer, cited in the blog post, with Eric Loewen, Chief Consulting Engineer for the PRISM reactor project, the plutonium oxide would be mixed with uranium oxide, then reduced to a metal by electrolysis. This is made into an alloy with zirconium, then cast into slugs that would be stacked in a stainless steel case to form a fuel pin. SELLAFIELD – an anti-nuclear activist’s dream location. Just about everything up there is EVIL !!!!! But what if it started delivering 24/7, low-carbon electricity to 930,277 Lancastrians and saved 131,128,875 tonne of greenhouse gas emissions ?? ?